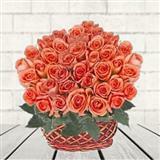 A basket of 50 long stemmed mixed roses. They are delivered fresh, budding and ready to bloom. 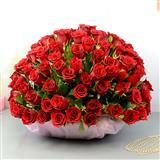 Send these blooming roses to Indore. 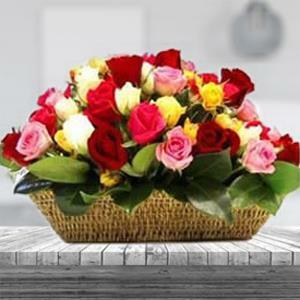 We also ensure same day delivery of fresh flowers to Indore. With us sending Gifts to Indore is also easy, safe and secure.